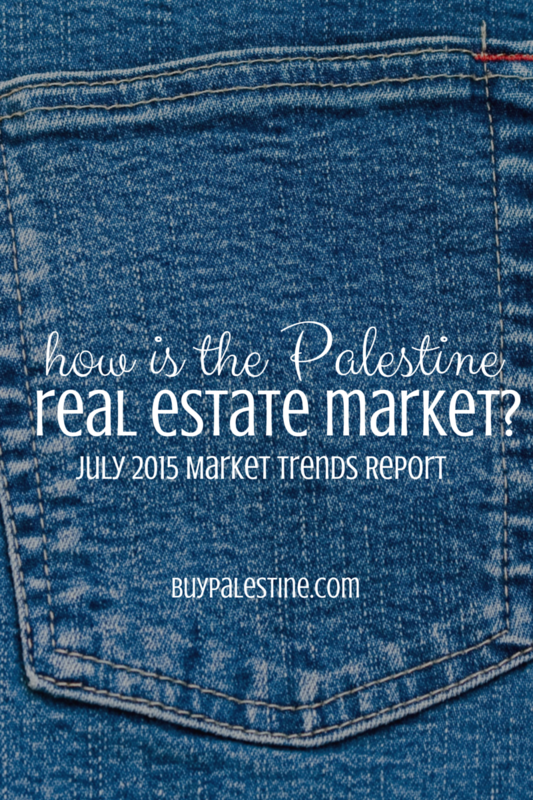 Interested to know how the Real Estate Market is in Palestine, Texas? Check out these highlights from the last 30 days – Market Trends Report for July 2015. So without further fanfare, let’s see some math! There were 63 properties in Palestine, TX that were under contract or sale pending through July 31, 2015. I was surprised to see the differences in July 2014 vs July 2015 Palestine, Texas real estate sales. These stats are for Residential & Farm/Ranch Properties with a Palestine TX address ONLY and do not include Acreage or Commercial Listings. In July 2014, the average list price of homes sold was $128,689 and in July 2015 was $168,748. There was 1 more house sold in July 2014 than in July 2015. July 2015 Average days on market to sell was 91 days compared with 129 days in 2014. The price per square foot has gone from $68.49 in 2014 to $69.63 in 2015. There are currently (as of this posting) 208 houses for sale in Palestine, Texas. This number includes only those residential & farm properties with a Palestine, TX address. The average list price is $168,748 with a median list price of $138,750. DISCLAIMER: This information was compiled from Palestine Area Association of REALTORS® Multiple Listing Service by Lisa Priest, Agent with Picket Fence Realty for informational purposes only. These are market statistics from our area MLS and do not include unimproved property or vacant lots, residential and farm/ranch data with a Palestine, Texas address was the only data used for this comparison. This data is current as of 8-4-15 and is not a warranty of future market conditions of any kind. This information is deemed reliable but not guaranteed.